If it's time for an HVAC upgrade, are you ready to reap the benefits of the newer high-velocity technology? Ensure that you're investing in a climate-control system that meets all your needs by first weighing these crucial factors. As the temperatures rise, homeowners across most of the country face the same dilemma: whether to turn on the noisy air conditioning and suffer the skyrocketing energy bills or sit through a sticky, uncomfortable summer. There doesn’t seem to be much of a compromise, given that conventional forced-air systems dominate the heating, ventilating, and air conditioning (HVAC) landscape in the United States. And for owners of historic, architecturally sensitive, or aesthetically challenging houses, these systems may not even be a viable option due to lack of space or the need for extensive renovation. Even window units—though they offer some reprieve—aren’t necessarily any more ideal: They block views, use energy inefficiently, generate unbearable noise, and can pose security risks if stationed in unlocked windows. Fortunately, today’s homeowners have access to more options and more advanced technology. One such creative and cutting-edge solution that has gained popularity over the past 30 years provides the comfort of central AC without the hassle of tearing down walls and running bulky air ducts or the expensive utility bills thereafter. High-velocity or “small-duct” HVAC systems comprise flexible mini ducts that can be easily routed through existing space within walls, floors, and ceilings. Moreover, the uniquely small size of their parts plays a role in ensuring operational efficiency and lower monthly bills—but that’s just the tip of the iceberg of what the system’s smart design can offer. High-velocity HVAC’s ease of customization and installation give a homeowner plenty to think about before selecting their new systems. If you’re in the market for a most efficient cooling and heating option, weigh these considerations to design a high-velocity system tailored to your home. High-velocity systems are as efficient heating solutions as they are cooling, so long as you set them up to do so. First, assess whether your region’s climate demands a system that only cools or one that will maintain year-round comfort with both heating and cooling. (If you aim to do both, a preferred installing contractor will connect the system to a hydronic coil, add-on heat pump, or electric duct heater.) Next, determine how you’d like to set up the system to address climate throughout the house. The ability to designate zones from a single room to an entire floor in size allows a more individual control by separate thermostats, and homeowners can further target rooms that tend to warm up faster than others as well as leave out those infrequently used to conserve energy. Beyond what arrangements are made during the assembly of a new high-velocity HVAC, homeowners can also count on more precise control over the temperatures simply through the system’s design. The Unico System operates through a process called aspiration, in which a high-velocity stream of air entering a room creates enough of a gentle suction around itself to draw the room’s air into its stream. As a result, homeowners enjoy a draft-free comfort even in rooms with once spotty coverage from forced air heating and cooling systems. Plus, temperatures from floor to ceiling and room to room are no more than 2 degrees higher or lower than what is set on the thermostat. If your main motivator in choosing a new system is energy savings month after month, a high-velocity system is the way to go. The Unico System relies on the design of its mini ducts as well as specially wrapped and insulated supply tubing in order to minimize air loss from air handler to room. Indeed, Unico’s mini ducts developed have one-third less surface area than conventional ductwork and lose that much less heat through their walls. Then, where traditional HVAC systems can lose up to 25 percent of their heating or cooling energy through leaks in ductwork, the Unico System’s quality insulation limits loss to less than 5 percent. In short, homeowners get the cooling or heating that you pay for. On top of its superior network of ducts, Unico System’s air handler also play a part in the energy savings this high-velocity HVAC system offers. The exceptionally efficient cooling coils remove up to 30 percent more humidity than conventional systems. With less moisture in the air, a homeowner can keep the thermostat at a higher setting—reducing energy use by three percent for every additional degree—and still maintain a more comfortable environment. Nothing spoils thoughtfully decorated interior quite like the conspicuous metal grillwork of conventional air vents. Not only does their appearance detract from the overall tone of a space, but traditional metal registers are prone to streaking, and those dark, dirty trails make them look even worse. High-velocity HVAC offers new options for vent styles that make this energy-efficient system easier on the eyes as well as the wallet. The Unico System, for example, preserves the aesthetics of your home through a vast array of nearly invisible outlets. Choose either five-inch round or slotted half-inch-by-eight-inch styles, each in a variety of colors and wood stains that let them blend in with virtually any decor. 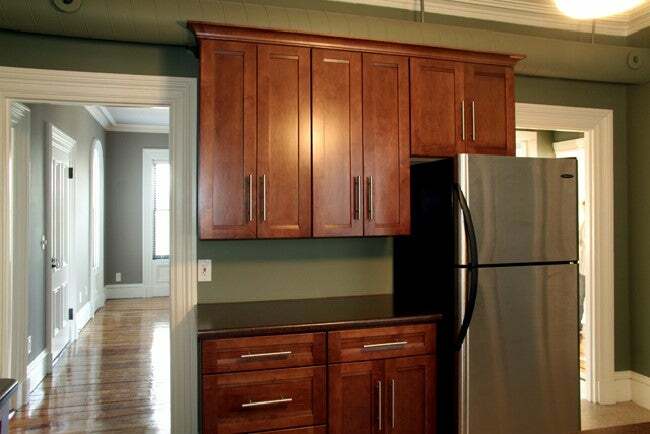 Unfinished wood versions can even be painted or stained to exactly match their surroundings. Mounted on the ceiling, in the floor, or on a wall these vents ensure a highly discreet distribution of conditioned air—and whisper-quiet airflow (thanks to sound-deadening insulation in the air handler and the layered design of the supply tubes) won’t give away their hiding spots! Professional installation of a high-velocity HVAC system is so quick and simple that homeowners can start reaping its benefits almost immediately. Whereas the bulky ducts in most conventional cooling and heating systems require a fair amount of renovation—from the opening of drywall to the construction of soffits and drop ceilings—to incorporate them, a high-velocity system has the upper hand because of the compact size of its components. 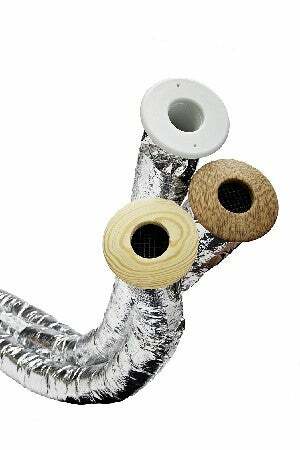 The flexible ducts can snake between beams and joists throughout existing cavities in ceilings, walls, or floors, while the modular air handlers and coils fit in any opening that’s just a couple of feet tall and wide in, for example, an attic or crawl space. In fact, the Unico System uses less than one-third of the space in the built environment that a traditional system requires, meaning it can deliver up to nine tons of air conditioning without taking up any more space than a three-ton traditional unit. By eliminating the need to “gut” the home, installation becomes less time-consuming (not to mention less disruptive and less expensive). The only question left to answer is, When should we make the switch? While it’s a good idea to weigh all these considerations on your own as you narrow down your HVAC options, the planning and assessment stage is not truly complete until you involve a professional. A qualified HVAC contractor can help you choose a high-velocity mini-duct system that best meets your needs, right down to the intricacies of determining the right size. The climate in your region, the amount of insulation in the home, the home’s square footage, and the number of people typically occupying various rooms all have an impact on air handler requirements. Proper sizing is crucial: An improperly sized system will not perform efficiently and can compromise your comfort. The Unico System, which has now been installed in more than 500,000 homes, maintains a network of trusted professionals who will evaluate your situation, specify the appropriate products to achieve your cooling and heating goals, and install the system properly. The Unico System technology scales up or down as needed with ease, offering anywhere from one to five tons of cooling and heating, and these professionals understand it best. They can even help you save more money on your new investment by determining if you are eligible for federal, state, or local residential energy tax credits for upgrading to a high-efficiency HVAC system. To start exploring the possibilities, go to the Unico website and enter your zip code in the search tool to find a list of qualified HVAC technicians in your area. This article has been brought to you by Unico. Its facts and opinions are those of BobVila.com.